Tanzania safari: When the skies finally clear, and the plains once again assume their scorched, golden hues and the grasses become crisp and crackle underfoot, the whole of the Serengeti seems to take to the road. Every year, around April as the last drops of rain dry up, millions of hooves thunder across the Mara River on their way some 500 miles northwards to the hills in search of food and water as the dry season begins, followed by the Maasai warriors herding their cattle at their own loping pace. And then around October, the million-strong herd of Wildebeest flows south once again towards the endless plains that will soon become carpeted green with wild flowers as the rains bring the burnt lands back to life. The famous wildlife migration, which continues its annual cycle through the Serengeti region of Tanzania and the Maasai Mara in Kenya, is without doubt one of the most exhilarating natural spectacles on Earth. Nevertheless, there's so much more to the Serengeti than the Great Migration. A trip here is to venture into one of the oldest ecosystems on the planet - the essential features of climate, vegetation and fauna have barely changed in the past million years. Today, you'll still find the rolling grassland, acacia woodlands, and mist-draped volcanic highlands that impressed the American hunter, Stewart Edward White, when he set out from Nairobi in 1913, into lands still little explored by the white man. Pushing south, he recorded: "We walked for miles over burnt out country... Then I saw the green trees of the river, walked two miles more and found myself in paradise." Every time of year in the Serengeti offers something different, something special - there's always the chance to see a wide range of animals in their natural habitat, set amid a backdrop of fiery sunsets and endless dramatic landscapes. 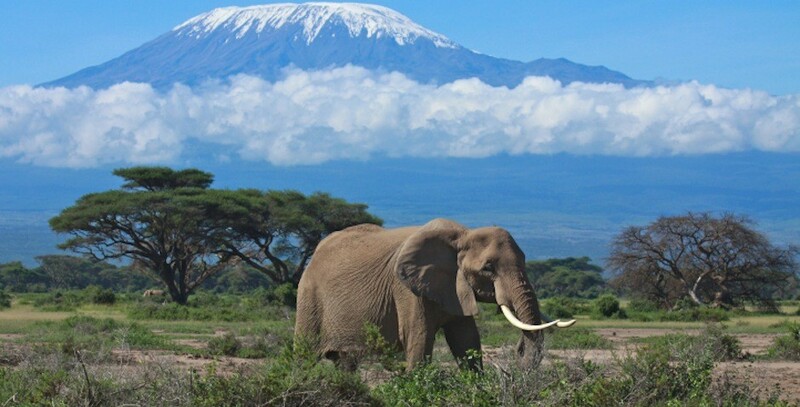 The Serengeti region encompasses various national parks and game reserves in Tanzania including the Serengeti National Park, Maswa Game Reserve, and the spectacular Ngorongoro crater, as well as the Maasai Mara National Reserve in Kenya. Stretching almost 12,000 square miles north to Kenya and west to the huge Lake Victoria, the Serengeti National Park, Tanzania's oldest park, offers arguably the best game viewing in the whole of Africa. The unique combination of diverse habitats enables it to support more than 30 species of large herbivores, many magnificent predators and nearly 500 species of birds; from the great and ungainly ostrich to the majestic black eagle soaring over the Lobo Hills in the remote north. For many who head out on safari, the goal is the "Big Five," named for the five most prized trophies taken by hunters: lions, leopards, elephants, rhinoceroses and buffalo. But in this wildlife haven, you may simply enjoy the unforgettable sight of a harem of impala grazing through the tall grasses, accompanied by a single buck, or a troop of baboons sitting lazily in a tree. Whatever your favourite animal may be, a safari, or "journey" in Tanzania's native tongue, Swahili, will undoubtedly offer you adventure, extraordinary new experiences and fill your head with a lifetime of vivid memories of great herds of buffalo, zebras, giraffes, and elegantly prancing gazelles that you'll discover on bushwalks and game drives through the Serengeti region.